Employee learning is a key element in nurturing talent and driving organisations forward. That’s why we surveyed over 180 HR and L&D professionals from the U.K. to learn how their organisations are investing in talent, how they measure their impact, and what attitudes different levels in the organisation hold about corporate learning. Our goal in sharing this survey is to help you benchmark your L&D department and organisation against others in the nation and shed light on the challenges and trends that will shape 2018. 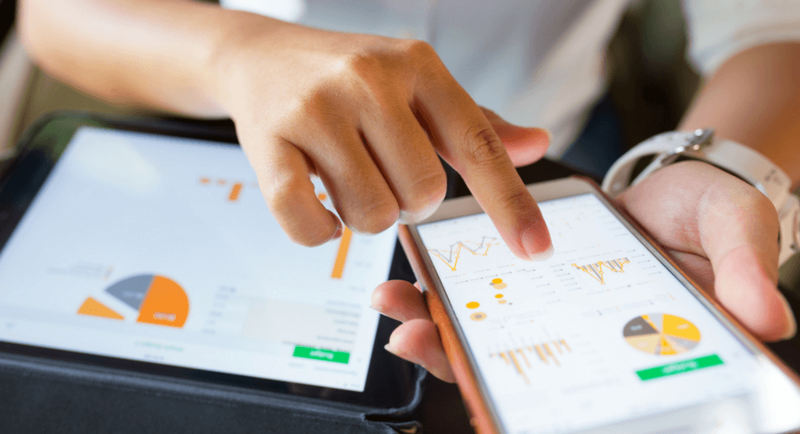 Measuring the ROI of corporate learning initiatives is strongly tied to executive buy-in, increased learning budgets, a staff that prioritises learning, and the belief that their department is competitive in the industry. 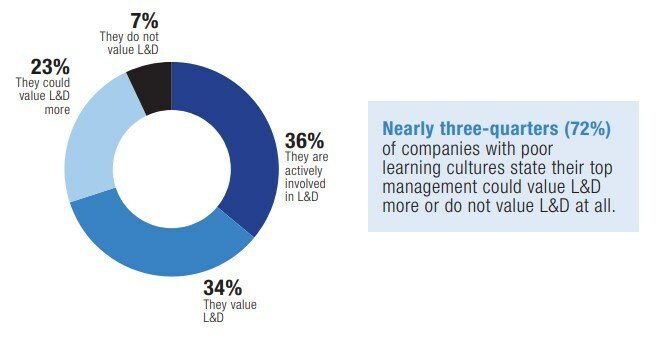 Strong learning cultures go hand-in-hand with senior leadership taking an active or supportive role in workplace learning, and is linked with a higher employee satisfaction level. Organisations who offered employees a below-average number of training days and had lower training budgets are more likely to report shorter employee retention and lower levels of employee satisfaction. Regardless of industry, leadership and management development are the most popular areas of employee development. This trend was even stronger amongst companies who have grown in the last financial year as they look towards the future and invest in leadership. L&D professionals cite limited resources – budget and small team size – as the top challenge they face in their department. Even the majority of companies with positive financial growth and departments expecting budget increases in 2018 are no exception. This survey is a part of the U.K. L&D Report 2018: Benchmark Your Workplace Learning Strategy. #1. 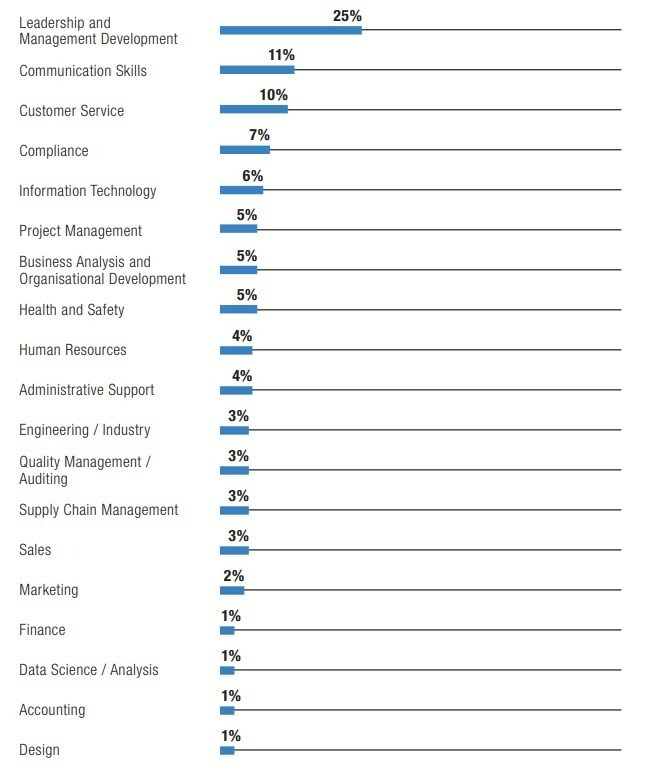 How many employees work in your organisation? #2. 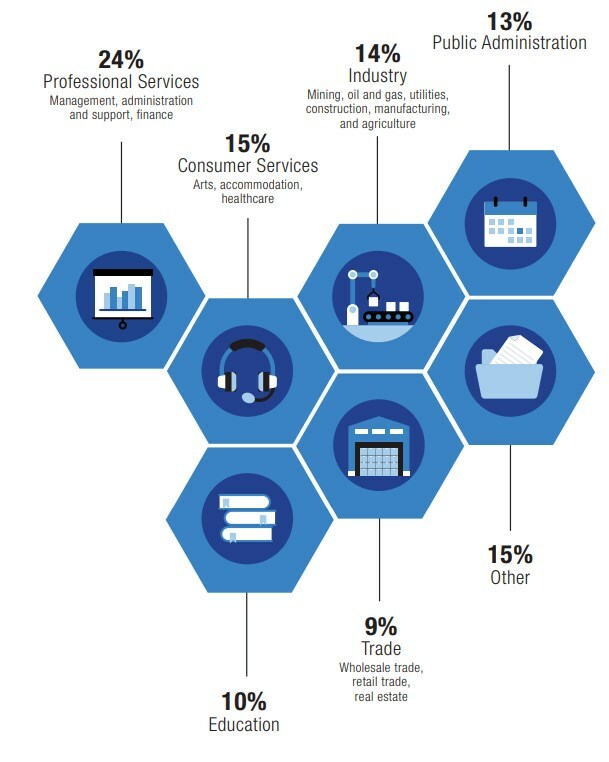 Which industry best describes your organisation? #3. How do you think your L&D department performs in comparison to your competitors? #4. 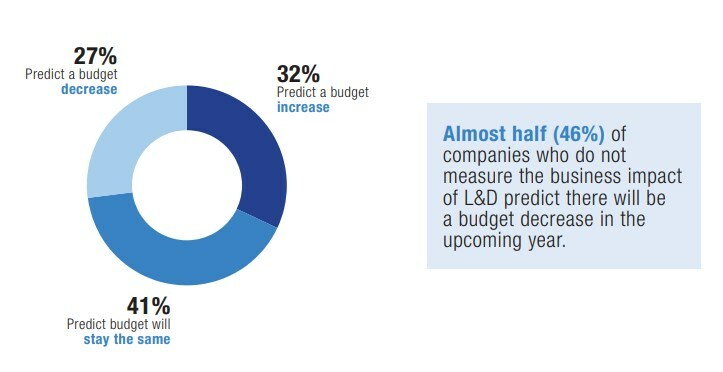 How do you predict your L&D budget will change in 2018? #5. 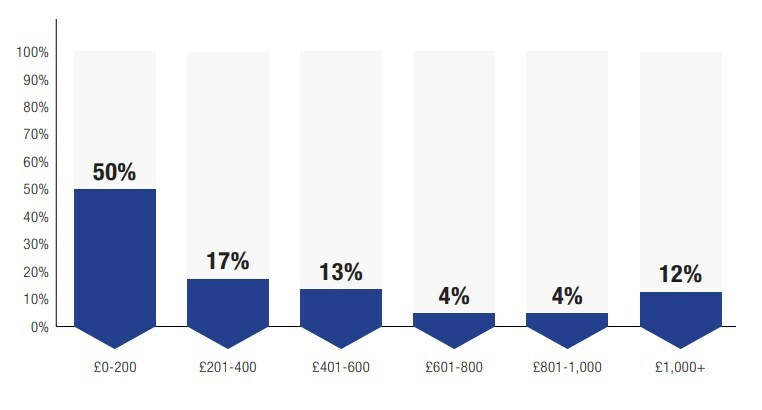 What is your annual training budget per employee? #6. 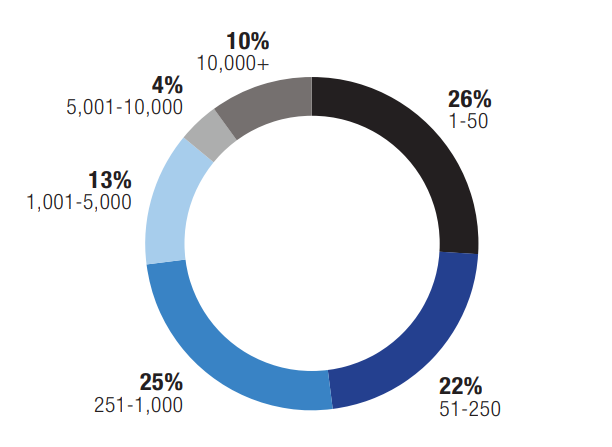 How many days of training does an average staff member receive per year? #7. What is the average retention rate of your staff? #8. How satisfied is your staff according to your latest employee satisfaction survey? 63% of companies with increased turnover in the last year rated leadership and management development as their top priority. #9. What subject is your top training and development priority? #10. What training method does your company use to train senior - mid - and entry-level employees? #11. What is the biggest challenge your L&D department faces? 31% of companies which had grown in the last year used external coaching for senior leadership. That’s twice the average. #12. Would you describe your organisation as having a learning culture? 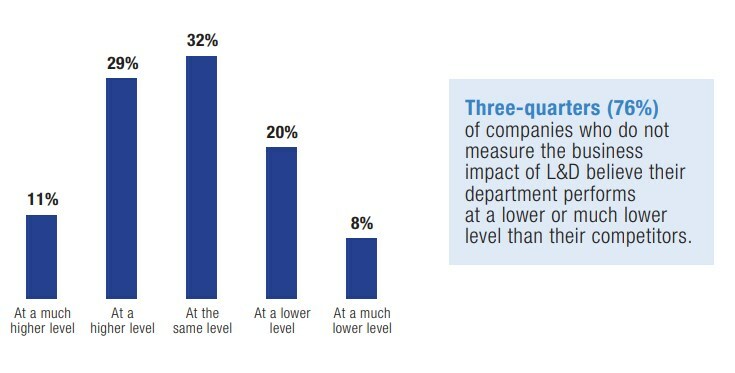 Companies with decreased turnover were 2x more likely to say their staff does not prioritise learning. #13. How do you assess the impact of L&D on staff? #14. How much does your L&D department contribute to your organisation? #15. How does the top management of your organisation value L&D? 94% of L&D professionals from companies with an increased turnover in the last year said their department was critical to organisational success.